In providing solutions to the challenge of personal protection designers and practitioners are faced with a number of factors. Foremost amongst them are the tasks of defeating the threat, while limiting the effects of any blunt trauma being transferred to the body. All this while simultaneously working to reduce the relative burden of protection on the soldier. The research areas within the Personal Physical Protection Programme include physical sciences, materials technology, biomedical sciences and analysis, human factors assessment and injury and modelling analysis. Research by Dstl is currently grouped into several areas: reducing the burden on the soldier, increasing the areas of coverage, improve materials technology and injury modelling in order to better understand the threats, and modelling on how changes in armour will affect the soldier. Helliker believes that the burden equation, bringing together factors such as thermal burden, loss of agility, bulk, weight and lack of integration is not as well understood as it might be. A significant outreach programme is being conducted both to develop new materials and to better exploit existing technologies, working with a number of commercial and academic organisations to develop systems that provide better protection or improve their attributes. A further thread in experimentation is in incorporating protection into the standard clothing a soldier wears. Helliker said, “We cannot always rely on traditional materials as these are often incompatible with the basic need for comfort, so we have to look to new materials or combinations. With that in mind we are trying to improve the flexibility of our systems with both soft and hard armours and look at ways in which we can incorporate systems that will provide more airflow over the body. We are also looking to reduce the bulk of armour and to develop high performance materials either to improve the protection or, if not required, to reduce its weight. At the end of the day the soldier gets better protection for his burden. The assessment of protection technologies can be broken down into three main themes; ballistic performance, behind armour effects and human factors integration. The first part of this is ballistic assessment. The current standards that are being used however have been predominantly developed for civil police armours. As a consequence, Dstl have developed a ballistic test protocol to meet this requirement for a test regime based on a military environment. This allows the incorporation of advanced test methods such as the Dstl Behind Armour Blunt Trauma (BABT) rig. A major area for work is on Behind Armour Blunt Trauma (BABT, a spectrum of injuries sustained behind an armour system even though it has defeated the incoming projectile). 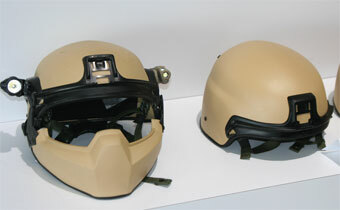 Helliker said, “As the threat rounds become more severe and manufacturers strive for thinner, lighter plates. However, this can increase the risk of sustaining life threatening BABT. BABT will incapacitate and in some cases it can kill. Commonly accepted static methods of measuring BABT, can only measure the difference between armours and are not representative of real time effects. There is no scientific correlation between these static methods and the risk of injury.” The Dstl BABT rig is the first biologically validated assessment method for ballistic impacts. Dstl is working hard to improve the way that the UK assesses protection technologies, to ensure they perform to the required level across the whole range of environments our soldiers operate in. 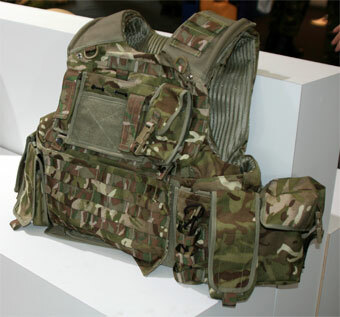 Whether this is ballistic performance, behind armour effects, integrations or comfort and ease of use. Mark Helliker was speaking at WBR's Soldier Technology 2010.